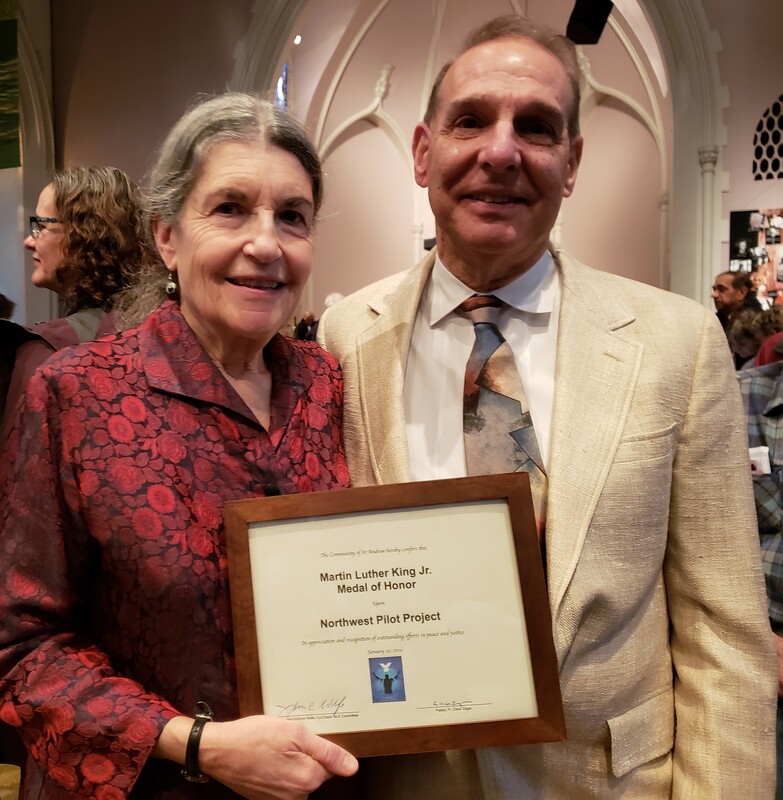 The Community Service Award went to Bobby Weinstock and Susan Emmons of Northwest Pilot Project who have a combined 60 years of service to low-income seniors who live in Multnomah County. Weinstock’s remarks were a litany of gratitude for all the people—volunteers, staff, donors and the clients themselves—who make NWPP’s many programs successful. Over the years, the agency has relocated hundreds of elderly and disabled tenants who were threatened with homelessness as their apartment buildings were demolished or gentrified. Weinstock has thirty years working as Housing Specialist for NWPP. Northwest Pilot Project is a social service agency providing services to low and very low income seniors in Multnomah County Since its beginnings in 1969, NWPP has been the city’s most visible watchdog of an ever-diminishing stock of rental properties affordable to the poor. Susan Emmons was been one of Portland’s earliest advocates for maintaining and building affordable housing downtown, especially as poor and elderly tenants found themselves in the path of gentrification. For three decades, she called public leaders to account as money was spent on aerial tram, esplanade, bicycle paths, meanwhile the numbers of homeless people swelled. In print and in person, Susan shamed those who insisted Portland had no money to house the poor.